Happy Monday, lovelies! This week is an extra special one for me because by baby sister is GETTING MARRIED Saturday!! I am gonna be in and out this week and hoping to get as many blog posts up as I can as well as some amazing SALES coming up! Today, I wanted to share Hollyday looks all under $100! It’s important to me to be price conscious while also staying stylish, so today I wanted to share some of my favorites! Each of the looks pictured above are all linked below! I hope you all enjoy these picks! Let me know which ones are your FAVORITE! Also, don’t forget to check out some of the cutest Christmas pj’s that are also great stocking stuffers here! One last thing, one of my favorite brands Moon & Lola and I wanted to play Santa today and offer this amazing clutch to one of YOU on Instagram! Check out today’s post to ENTER! Contest ends Wednesday! Have a FABULOUS MONDAY! 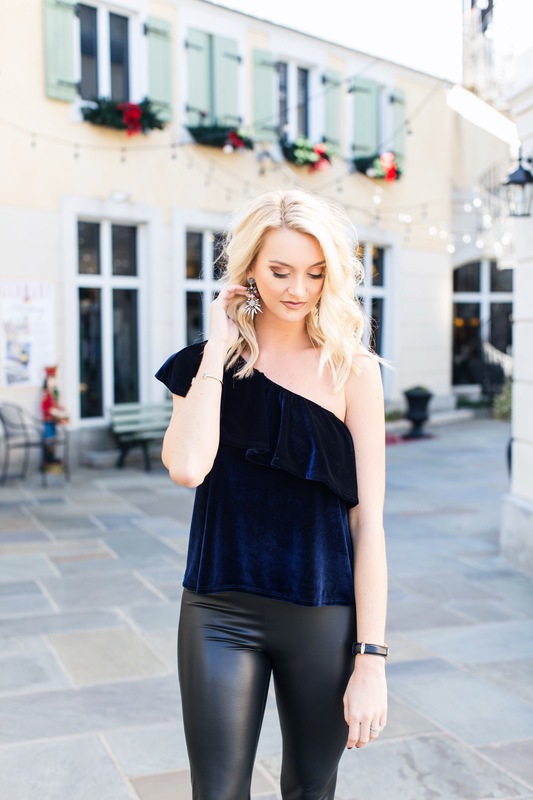 That blue velvet top is stunning!! Love it!